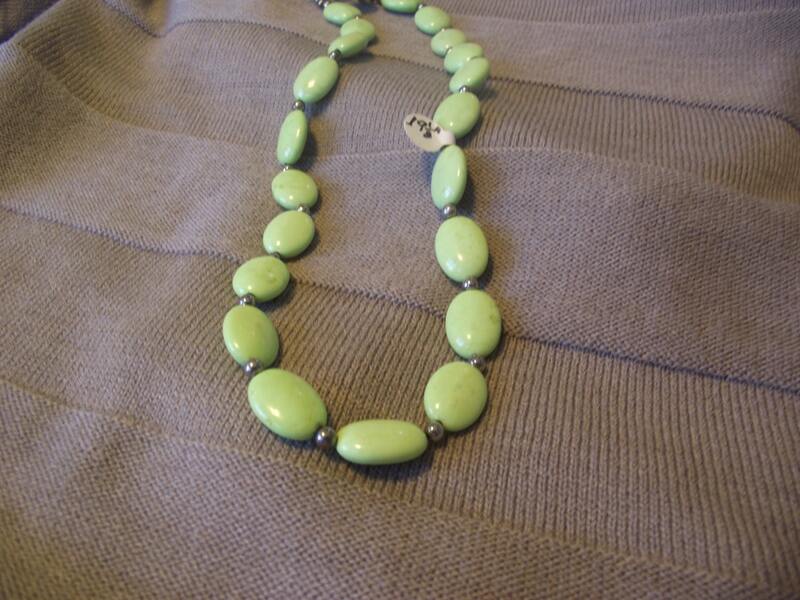 Light Green Agate beaded necklace with silver accents. Is 19.5 inches long. 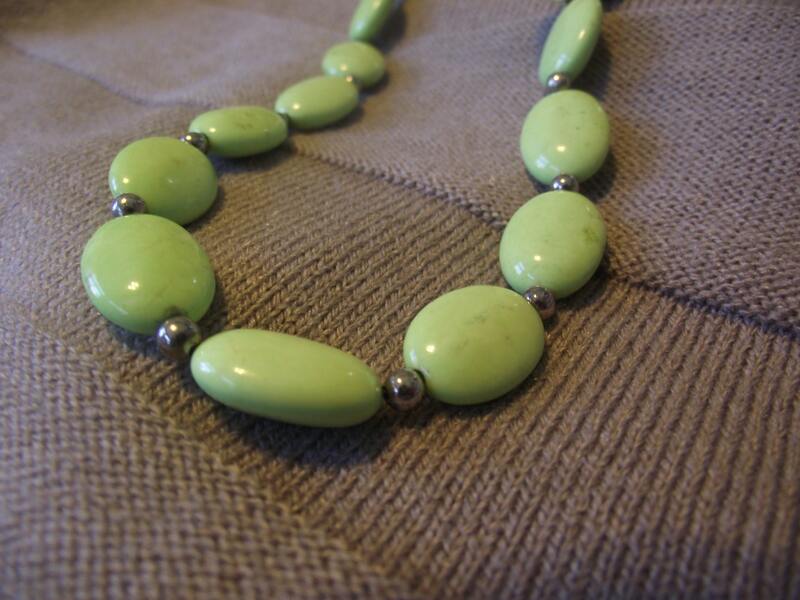 A brilliant light green bead. A claw clasp.